TAKE ADVANTAGE OF PRINT-TECH'S MAIL-TRACKING - FOR FREE! Isn't it frustrating when you send out a direct mail campaign but have no idea when it hits mailboxes? If so, you'll love Print-Tech's mail-tracking feature. And for a limited time, we're offering it to our customers FREE OF CHARGE. A lot of people still believe that you can't track mail delivery, but that's a myth. With our tech-mail + technology, you now have the predictability to know when your mail is expected to reach mailboxes. It helps you plan your call center staffing. It helps you plan your online leads. It helps you plan all of your follow-up activity. The way it works is simple! We give you secure login credentials to tech-mail +. This is a powerful technology available to Print-Tech customers who want to infuse their direct mail campaigns with sophisticated "mail intelligence." It provides you with accurate data about when your campaign reaches mailboxes, and it's available to you online 24/7. You'll have a custom-built dashboard that you can view when your mail is confirmed delivered. It also shows you what percentage of your mail has already arrived, which prepares you for new calls and online leads. This capability is especially valuable when a mail campaign has an important date attached to it, like an upcoming event or a deadline for registration. Having this predictability helps you gauge attendance and guides your follow-up mailing, emails, and phone calls. 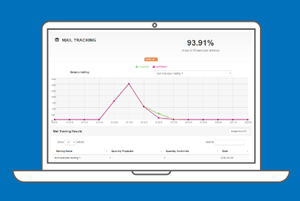 We know how valuable mail tracking is, which is why we're offering it to you free of charge for a limited time only. Tech-mail + offers a lot of functionality in addition to mail tracking. Get in touch with your Print-Tech representative today to take advantage of this complimentary offering and to set up your own mail-tracking dashboard.